Music has the ability to transport us out of the ordinary - out of the struggle, fear and questioning - to a place of peace, trust and centeredness where grace and healing can unfold. This music has that gift. - Denys Cope, Author of 'Dying, A Natural Passage'. 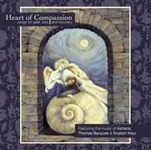 This soothing and healing CD contains music compiled specifically to help people in times of grief and loss. 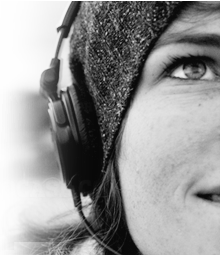 The music gently carries listeners to a place where they can begin to feel acceptance, forgiveness and hope. The CD opens and closes with Ashana`s soaring angelic vocals, haunting original melodies and healing crystal bowls. Snatam Kaur`s rich and ethereal voice dances over two beautiful healing chants meant to provide inner healing and an experience of deep love. Thomas Barquee`s artistry flows through this entire compilation, and on his own tracks he draws listeners into an experience of deep nourishment of the self and an exultation of the Divine.